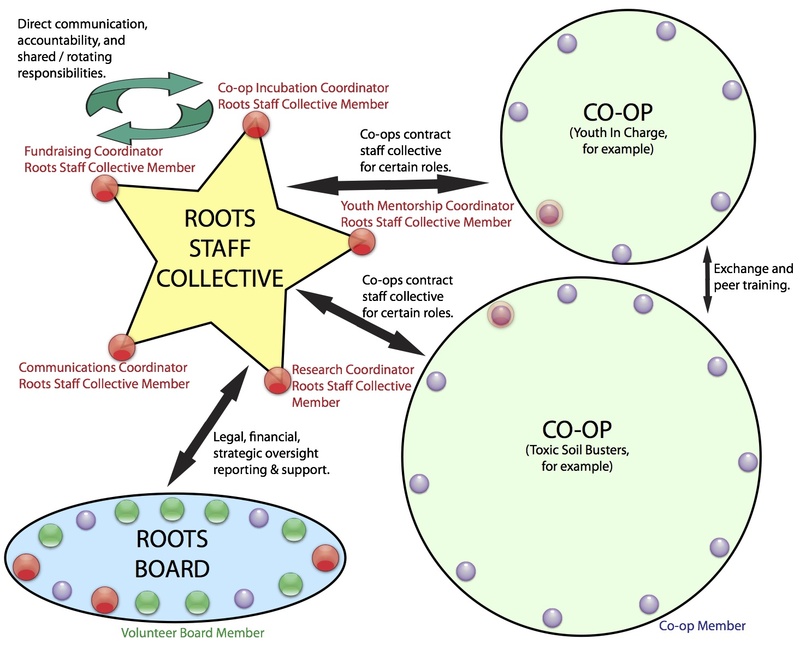 Because we believe in workplace democracy and co-operative jobs, Worcester Roots utilizes a horizontal Staff Collective structure. 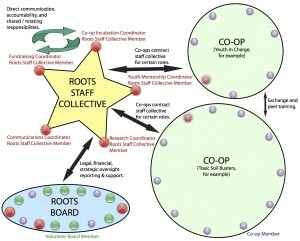 Staff Collective members share the role and duties of Executive Director. Worcester Roots emphasizes youth leadership on all levels of our organization, including our board. By pairing youth and adults in executive board roles, we support youth in taking ownership of the organization and building new skills.